History of the Dunedin Star . . .
On the night of 29 November 1942, a passenger ship. the Dunedin Star was on its way from Liverpool to Cape Town with 107 people onboard of whom 21 passengers and a very important cargo of weapons and ammunition. But then with the Namibian Coast about 16 kilometers on the starboard side, the ship suddenly shudder as if shaken by some giant hand, a part of her keel was ripped open with water streaming into her engine room. The crew immediately start pumping water out with 5 electrical pumps, but soon the water started seeping through the watertight door hinges between the engine room and the propeller shaft housing. The only obstruction according to the Marine Charts, was the Clan Alphine sandbank situated between 5 - 8.5km from the coast, although it was mark "PD" (position doubtful) therefore the captain suspected that they were in fact hit by a torpedo as it was known that submarines was operating in the area. Half past 10 that evening the radio station at Walvis Bay received the Dunedin Star emergency calls with the exact position where they hit the sandbank and according to the Captains calculations they would sink in 3 - 4 hours and he therefore decided to proceed directly to the coast and try and beach the ship, under his guidance and experience the ship was steered towards the beach without more damaged to where it eventually got stuck on a sandbank, in the meantime they were advised by military intelligences at Walvis Bay that 2 ships, currently on Anker in Walvis Bay, will be dispatched and should reached them by the 2 December 1942. The two ships, the minesweeper Nerine and tugboat Sir Charles Elliot took food and water aboard and where on their way. 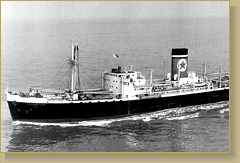 Military Intelligence also contacted the South African Navy in Cape Town and within minutes they have located and contacted two ships in the vicinity of the Dunedin Star, the British freight ship "Manchester" and a Norwegian Motor ship "Temeraine" and ask to assist the Dunedin Star. In the meantime the captain of the Dunedin Star become more worried that the Dunedin Star would break up and decided that everyone should leave the ship and a day after the ship got stuck on the sandbank, the first people where taken to the beach by motorboat, the rough seas and high waves made it a very risky operation and after the third run the motorboat broke down, but 63 people among whom woman and children was safe on the mainland. The captain and 43 men was still on the Dunedin Star. On the evening of the 31st November the Temeraine arrived at the scene, shortly followed by the Manchester. 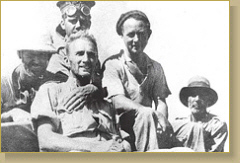 The next day the crew of the two ships brought all the remaining 43 men and Captain aboard from the Dunedin Star. Due to bad seas and weather they could not make it near the beach food and water for the people on land. Fortunately, the Captain radioed Walvis Bay and asked that an aircraft been dispatched to drop food, water, blankets etc for the people on the land. By now they become worried as they had not much water and food left. Nights was extremely cold and they had to sleep on the sand, with no blankets or any other protection against the elements, and during the day they were exposed to the desert heat, sun and wind. From the Manchester they signalled them that an aircraft with food, tents, blankets and water are on its way from Walvis Bay and that convoy of vehicles has been dispatched from Windhoek to come and pick them up. On the 2nd December, the Nerine and Towboat Sir Charles Elliot reached the Dunedin Star. 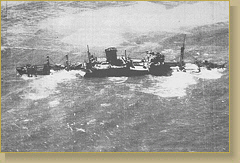 The Temeraine that remained on the scene, then departed for Walvis Bay with all the crew and passengers that they picked up from the Dunedin Star, followed by the towboat Sir Charles Elliot after they managed to unload her cargo on land. A brand new Lockheed Ventura of the South Africa Air force depart Cape Town on the 3rd December and flew to Walvis Bay where it took in containers with water and food. 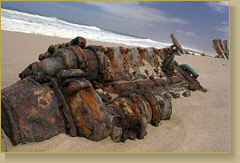 The pilot Immins Naudé and his crew of 3 departed the same day for the Skeleton Coast, and noticed another ship stranded near Rocky Point, on closer investigation they saw much to their astonishment that it was the towboat Sir Charles Elliot who was on her way back to Walvis Bay. 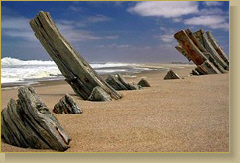 They radioed the position to Walvis Bay and proceed to the location to the Dunedin Star. Arriving at the the Dunedin Star the commenced by dropping all the proviand, containers, food etc. 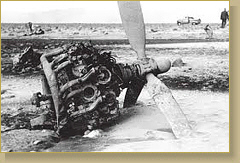 The crew however feel that it is their moral duty to at least pick up the woman and children, so the pilot landed but the aircraft subsequently got stuck in the soft sand, and nothing could get it out of there. The aircraft also become another victim of the Skeleton Coast. In the meantime at the scene of the towboat Sir Charles Elliot, things has deteriated to such and extend that the ship has started to break up and the crew attempted several times to get to the beach, during which 2 people drowned but the remaining crew and passengers eventually made it to the beach, putting them in the same situation as the 63 people on the land at the Dunedin Star. Further north the Manchester and the Nerine was still trying to send food and water to the stranded people at the Dunedin Star, but the heavy seas and strong currents swept the rafts away and eventually with no more cargo they both set course for Walvis Bay. On the 4th of December the minesweeper Natalia set course for the Dunedin Star loaded with much needed food, water and medicine. Her radio capacity however was of a very short reach and to overcome this, they took pigeons along. They successfully used the pigeons to get important information to Walvis Bay. The pigeons which was sent off in pairs, more than half reached Walvis Bay again and the information they brought back was of utmost importance to the rescue operations and planning at Walvis Bay. The heavy seas and weather has in the meantime subsided a bit, and the cargo brought by the Natalia could all be successfully unloaded to the beach. 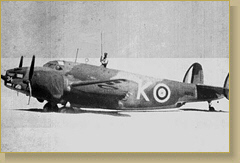 On 5 and 6 December another 3 Ventura bombers were dispatched from Pretoria and Cape Town with blankets, food, water medicine and tents onboard. One of the pilots have executed a successful landing and take off at Rocky Point and he agreed to try it again. After dropping the cargo at the Dunedin Star, he and another Ventura, landed successfully near the towboat Sir Charles Elliot and picked up the crew. The Vehicle convoy was also spotted by the Ventura pilot about 20km away and on 12 December they reached the remaining people. All the 63 People was then loaded on the trucks and they started the slow and cumbersome journey back to Windhoek, rivers in flood made it a difficult task and by the time the have reached Kamanjab, they have lost 3 vehicles. 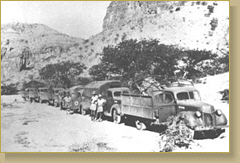 But they persist and on Christmas Day 1942 they reached Windhoek from where they were flown to Cape Town.